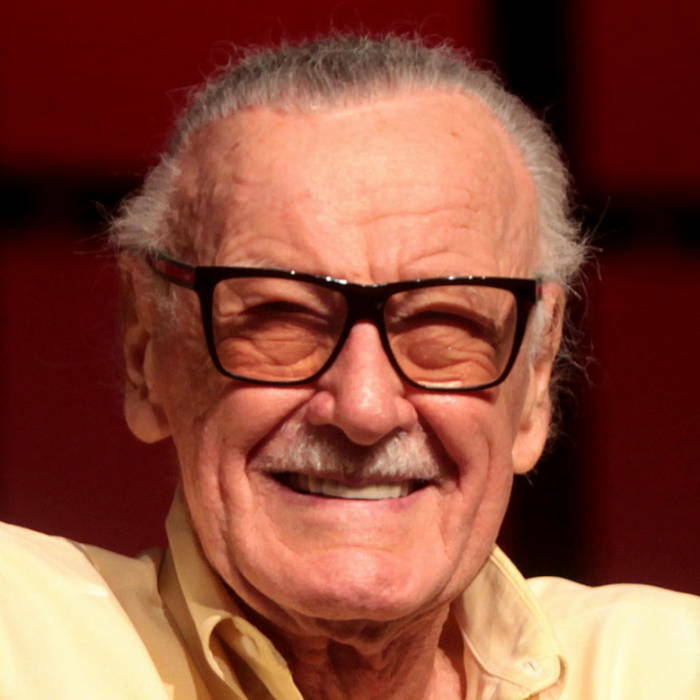 I'm sad to hear that Stan Lee passed away yesterday. Normally celebrity news doesn't interest me. Stan Lee is a rare exception. When I heard some months ago that he fell victim to elder abuse by his own family members who were after his money, my heart sank. Stan seemed to be such a gentle, caring person. To hear that he had given up on life made me want to go rescue him and give him a safe place to enjoy his remaining years. As recently as yesterday I was thinking about Stan while I ate lunch at Wendy's. It makes me wonder if God brought Stan to my mind just as he was passing from this world. If I was more sensitive to such things I would want to pray in times like those. Maybe I whispered a quick prayer yesterday, I don't remember. I don't watch or read the news at all, so the only way I hear about current events is through word-of-mouth or if I happen to see a blurb on Youtube (which is how I learned a day later about Stan's passing). God knew Stan's every day from before He created him. All his comings and goings, his thoughts, his pains and joys were intimately reviewed in advance. God made a special and creative person when He dreamed up Stan. The creative contributions of Stan will be remembered forever. He had a hand in creating nearly all of the most famous Marvel comic book superheroes, which is an astounding feat for one person. Disney will make billions of dollars off Stan's creative properties. Actors and directors together probably earn more income off one movie based on a character Stan co-created than he earned his lifetime. Thankfully he didn't die poor though. He saw plenty of financial reward for his creative genius. Jack Kirby of course deserves equal credit, along with all the other comic book writers and artists who make superheroes what we appreciate today. Like so many other fans, I will greatly miss seeing Stan's cameo appearances in every Marvel movie and other media. It has always been a highlight of the films to watch out for his comical contributions. While I don't agree with all the implied theology contained in Stan Lee's poem, it made me cry to hear it some months ago... because it was victorious to hear a prominent man admit his knowledge, curiosity and awe of his Creator. May Stan find himself full of joy when he meets his Maker! Soon and very soon so will we all. May the Lord of love hear all who call out to Him. May they find Him through His one and only Son, Jesus Christ. His mercy, patience and lovingkindness are beyond our human understanding, and He cares about everyone He has made.